Alright everyone. 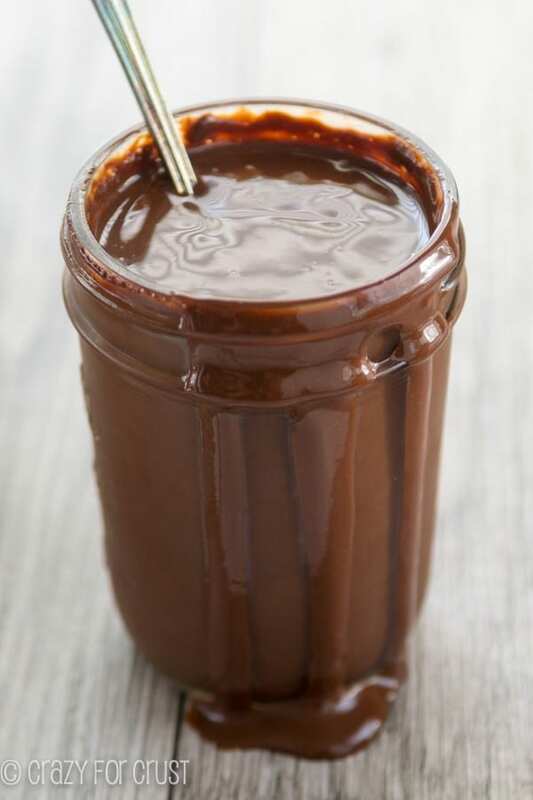 Go get your straws – we’re having homemade chocolate sauce for breakfast. I slept good mommy I didn’t have any dreams What was that city called we were talking about at camp Where is the iPad I don’t want to feed the dog Can you feed her for me What are we doing today Can I have breakfast? When this happens before I’ve had my coffee in the morning, it tends to get ugly. She’s 9, but still doesn’t understand that mommy needs her coffee in the morning before she can actually think, articulate a sentence or function, let alone be a pleasant human being. You know what would be good in coffee? 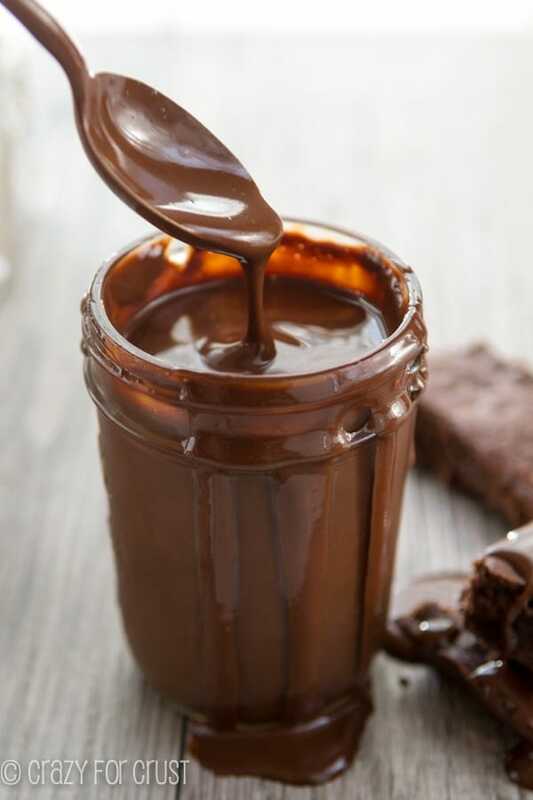 Homemade chocolate sauce. Luckily I made some for you today. Ready in less than 10 minutes, it’s thicker than a chocolate syrup but doesn’t need re-warming like a chocolate fudge. It’s juuuuuuuust right. The other thing I love about this chocolate sauce is that it has no white sugar. It’s made with unsweetened cocoa powder and sweetened mostly with honey. Part of the thickness comes from the honey. Traditional chocolate syrups are made with water, making them thin. You can chill them and they’ll stay very liquidy. Usually the chocolate flavor is strong in syrups, but sometimes it’s just a flat chocolate flavor. Traditional hot fudge sauces are usually made with baking chocolate and/or chocolate chips and heavy cream. When cooked with sugar, they become more like a soft ganache. 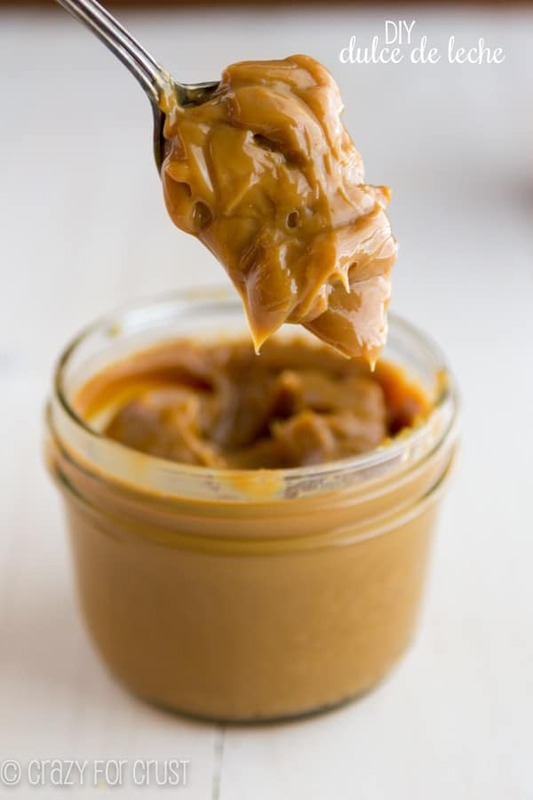 When chilled it hardens to a peanut butter texture, so it needs to be heated to pour over ice cream. Hot fudge has a rich, thick and very chocolatey flavor, like a melted brownie, but the needing to heat it thing can get old after awhile, especially if you want cold chocolate milk. When I decided I wanted to make some of my own homemade chocolate sauce, I wanted an in-between. 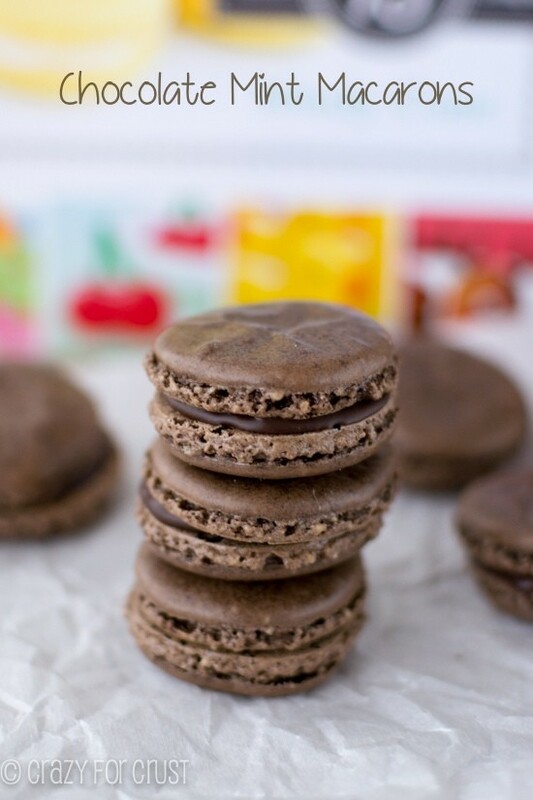 I wanted to use cocoa powder, because cocoa is a pantry staple for most people. I wanted to reduce the sugar in the sauce if I could – most recipes call for at least a cup, maybe more. I knew that water would make a thin sauce and heavy cream would make a really fattening sauce, so I wanted something in between. Then I remembered something that I use all the time with chocolate to make ganache. Something that’s thicker than water but is less fattening than heavy cream even though it acts like it. Any guesses what I used? You guys. 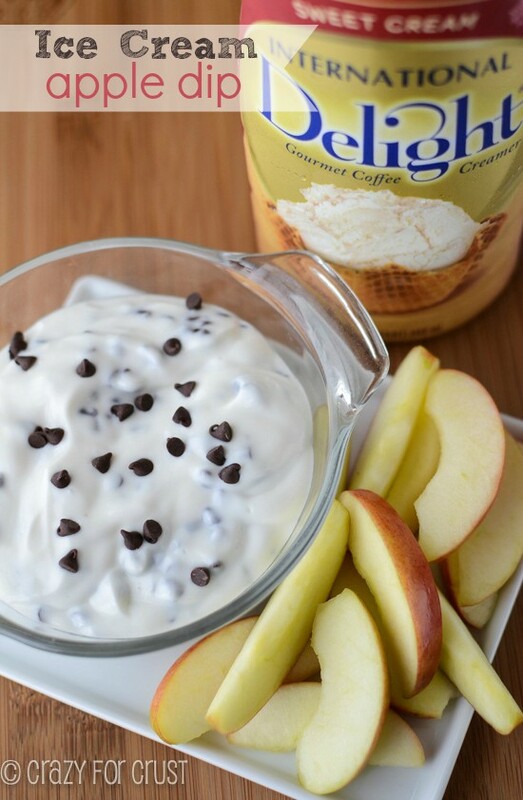 Did you know you can substitute coffee creamer for milk in just about any recipe? There are so many flavors out there, and when you substitute it for milk you get a little of that flavor in your recipe. I love using it in muffins or baked goods to add a little extra punch of flavor, and it makes ganache amazing. I used International Delight for this recipe because they have so many flavor choices. They have the basic flavors like vanilla and hazelnut, always good. But they also have flavors like Almond Joy and York Peppermint Patty – those are two of my favorites. You can find International Delight in the dairy aisle. The new bright packaging stands out so you can’t miss it. Catch them on Facebook or see all sorts of fun recipes made with ID on Pinterest. The amount of recipes you can make using coffee creamer are insane! For this recipe, because I was trying to reduce the sugar, I used one of their classic flavors that’s gone sugar-free: the Sugar-Free French Vanilla. I knew that the sweetness of the coffee creamer would let me reduce the amount of added sugar in the chocolate sauce, and that the creamer itself would make a thicker sauce than water, but it would be thinner than fudge so it would be pourable straight from the refrigerator. It’s like science…only tastier. These pictures were taken straight from the refrigerator after 24 hours chill time. It’s super chocolatey, like a melted brownie, but pourable. Perfect for over ice cream or for making an iced coffee or chocolate milk to keep you cool on the hot days of summer. Or, just drink it with a straw when your kid wakes you up at 6am. It’s what I would do. 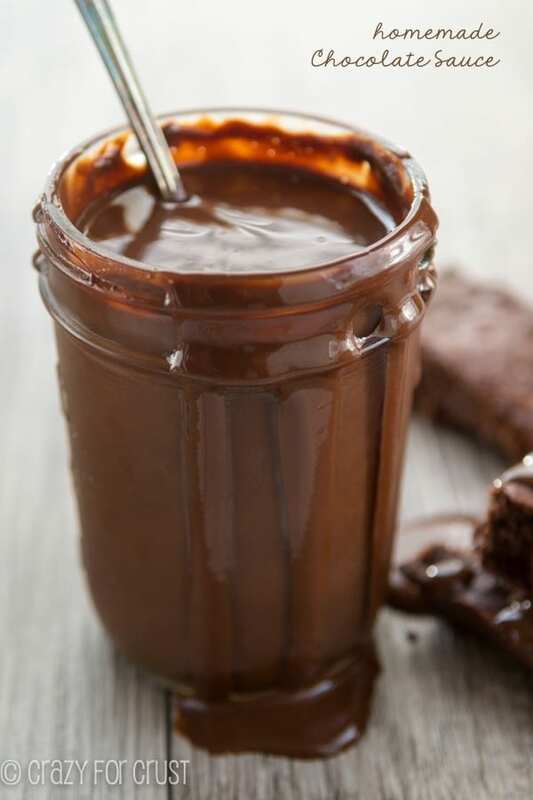 This is the perfect homemade chocolate sauce. Thicker than a syrup, thinner than a fudge, it's the perfect recipe! Place cocoa, coffee creamer, honey, and salt in a small saucepan. Whisk over medium-low heat until the mixture is thick and the cocoa has completely dissolved, about 3 minutes. Remove from heat and add vanilla. Pour into jar or covered container. Cool at room temperature, then cover and store in the refrigerator. 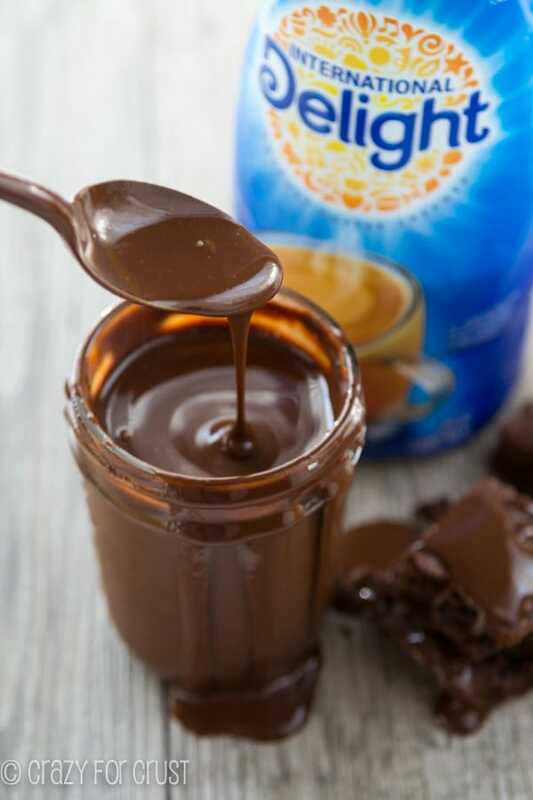 Use on ice cream, in milk for hot chocolate or chocolate milk, or as a dip. Or eat with a spoon!